Nightingale Physiotherapy offers patients a variety of physiotherapy services from British trained physiotherapists. 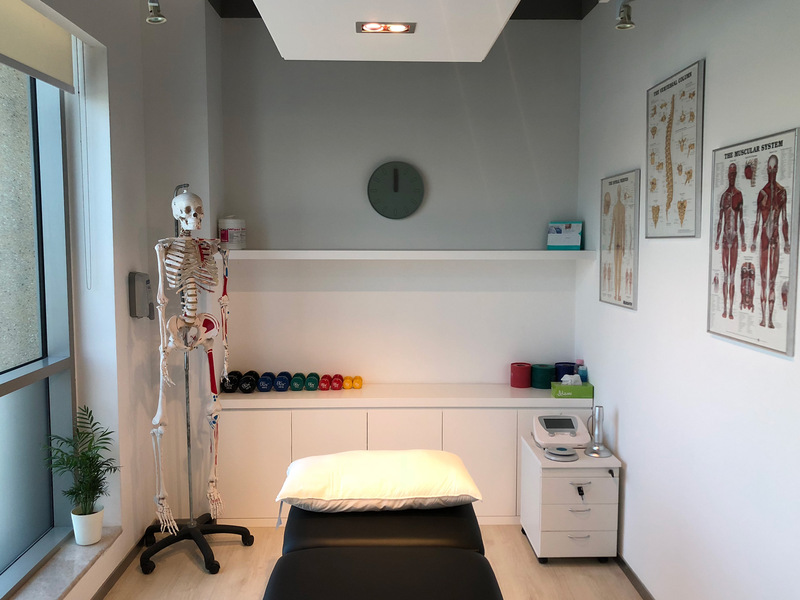 Whether you wish to be treated in the comfort of your home/hotel or at the Nightingale clinic, our physiotherapist treats every patient on an individual basis. Our hands-on approach is designed to get you back on the road to recovery as quickly as possible. Do you have pain? Have you been recently injured or suffer from chronic pain from previous injuries? Do these afflictions make it difficult to move or go about your everyday life or activities? The Physiotherapists at Nightingale Health Services are here to help. Musculoskeletal Physiotherapy – a specialised area of physiotherapy designed to treat injuries and conditions which affect the muscles, joints, and soft tissue injuries. Ideal for individuals suffering from sports and lifestyle injuries, othopaedic problems, lower back pain and headaches. Cardio-Respiratory Physiotherapy – a specialised area of physiotherapy geared towards the prevention and rehabilitation of patients with diseases and injuries in the heart and lungs. Ideal for individuals suffering from sputum clearance, COPD, and for those individuals seeking post-heart attack rehabilitation. Neurological Physiotherapy – involves the treatment of patients with function and movement disorders that have originated from problems within the body’s nervous and neuromuscular system. Ideal for individuals who have been diagnosed with a stroke, Cerebral Palsy, Motor Neurone Disease (MND) etc. Elderly Physiotherapy – is designed to treat age-related physical problems associated with illness, operations, and falls. Ideal for elderly patients who require strength and conditioning based therapy. Obesity/Bariatric Physiotherapy – specialises in providing valuable input and expertise in the multidisciplinary management of obesity, helping to optimise patient experience and clinical/surgical outcomes. Ideal for individuals focused on weight loss while maintaining health and safety. If you are tired of living with the effects of chronic illness and pain from injury, we can help. At Nightingale Physiotherapy, we take a holistic viewpoint to physiotherapy taking into account your daily work, family, social and sporting activities. Our licensed and certified British Physiotherapists provide a custom tailored approach to get you back on the road to recovery and a pain-free life. Contact us today to learn more about our services at either your home or the clinic and how we can help you get back on the path to a happier and healthier you. Promotes optimal mobility, physical activity. Prevents injury, disability, and disease. Improves activity limitations and lifestyle participation restrictions. Improves and maintain functional independence and physical performance. Rehabilitate injuries and the effects of disease through therapeutic exercise programs and other interventions. Provides education, plan maintenance and support programs to prevent re-injury, re-occurrence, or functional decline. Physiotherapy focuses on alleviating pain and restoring functional movement to help you get back to your normal activities. If you suffer from chronic pain or other physical ailments, a physiotherapist may be the answer to an improved quality of life and a healthier, happier you. UK trained physiotherapist Jonathan qualified with a 1st class honours. He’s worked with both High Level Professional Athletes and NHS patients in the UK, where he developed a keen interest in sports injury, neurological physiotherapy and postoperative orthopaedic rehabilitation before moving to Dubai be closer to family. He worked as the physiotherapy manager with a leading healthcare provider in Dubai for 3 years before setting up the physiotherapy service at Nightingale. 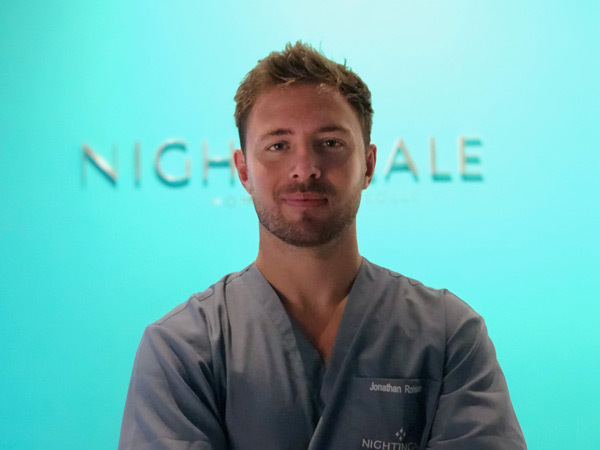 Jonathan is a keen sportsman and strives to provide the highest quality physiotherapy care available in Dubai, whether it’s in the comfort of your home, hotel or the Nightingale clinic.